The Government signed the first batch of funding agreements under the LEADER Programme 2020 on Friday and said the €250 million programme would “support hundreds of jobs” across rural Ireland. 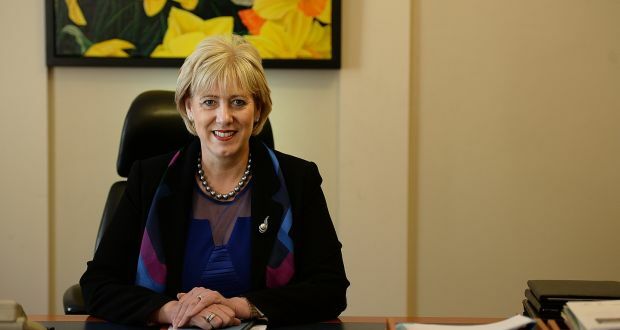 Minister for Arts, Heritage, Regional, Rural and Gaeltacht Affairs Heather Humphreys said the agreements were signed with local action groups from around the country at an event in the Virginia Show Centre in Cavan, which previously benefitted from €500,000 in LEADER funding. Funding of €250 million will be distributed to entrepreneurs and community groups throughout the Republic by the local action groups, which are made up of public and private representatives. The LEADER programme funds projects under a diverse range of themes that include enterprise development, rural tourism, social inclusion and the environment. The programme is co-financed by the European Agricultural Fund for Rural Development. The previous LEADER programme delivered almost 10,000 projects throughout rural Ireland. In addition to supporting community-based projects, last year LEADER funding supported over 800 enterprises and 500 jobs. Ms Humphreys said the funding was “vital” to rural Ireland and that she was keen to ensure the agreements were signed “as quickly as possible”. “Today is a very important day for rural Ireland,” she said. “The LEADER programme will deliver some €250 million into rural towns and villages right across the country over the next four years. “By signing the funding agreements with the local Action Groups today, we are unlocking this vital funding for rural Ireland. I know that communities across the country are very eager to access this funding, for the benefit of local groups and organisations. “Upon taking over responsibility for rural and regional affairs, I was very keen to ensure the funding agreements could be signed as quickly as possible so that this money can start to flow into rural Ireland. LEADER Programme to commence in North Cork from 1st December.